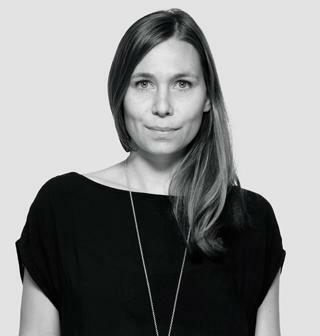 Sarah Böttger is a German product and furniture designer. She worked as cabinet maker, before studying industrial design at the University of Art and Design in Offenbach am Main and Helsinki, where she focused on furniture and glass design affected by a strong influence of the northern culture. In 2011 she founded her own design studio in Wiesbaden, Germany, from where she cooperates with international companies, to develop products for the series. Her work has been continuously presented at international fairs, galleries and exhibitions and were published in several magazines. In 2012 she was nominated for the German Design Award in the category Newcomer. Sarahs work is inspired by her interest and curiosity in how something is made - the craft, the industrial processing, the shapes, and the materials. She develops products for intended for daily use which are sleek, reflect an eye for detail and come with a twist.